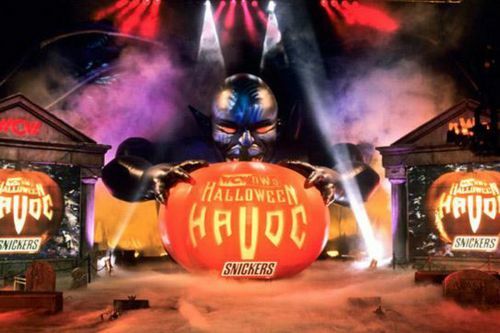 Halloween Havoc may be returning! Well, this one is very interesting. Amidst rumors that WWE's pay-per-view schedule is about to get a major shake-up, BarnBurner's Brad Shepard is reporting that WWE may very well be looking at replacing some WWE pay-per-view names with some classic WCW names - with Halloween Havoc and Starrcade reportedly topping the list! The shake-up may also see Clash of Champions being completely canned and TLC being moved back to its traditional December slot. Well, last year, WWE made a change to the TLC pay-per-view, taking it from its usual December slot and moving the Tables, Ladders and Chairs event to an October slot - but that looks short-lived. Halloween Havoc, of course, was WCW's famous October event and ran from 1989 through to 2000. The Halloween themed show was hugely popular and WWE has owned the rights to the name 'Halloween Havoc' since it purchased WCW's trademarks in 2001 with all previous events available on WWE Network. 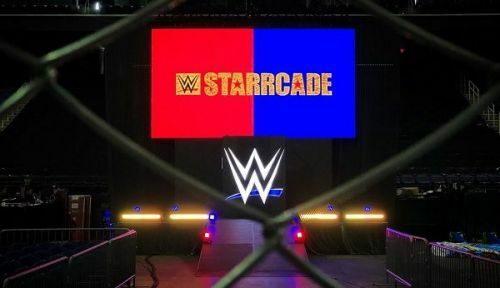 The other big name WWE is looking to bring in is Starrcade which, of course, WWE used as a live one-off event last year when they had a SmackDown-branded live event on November 25th, 2017. Clash of Champions, meanwhile, looks like its short tenure may be over. The show has only run for two years after replacing Night of Champions, which had in turn taken over from Vengeance. Brad Shepard reported via BarnBurner that WWE is considering replacing current pay-per-view names with WCW pay-per-view names, according to his sources. The news comes after a shake-up seems to have saw TLC be pulled as an October pay-per-view with only the Super Show-Down in Australia advertised for the entire month now. TLC is said to now be scheduled for December, with the future of Clash of Champions unclear. Shepard reports that his source "specifically mentioned Halloween Havoc and Starrcade as possible names to replace current pay-per-view names" but said a final decision has not yet been made. Brad Shepard has broken several stories in relation to WWE over the past year, and he - along with Jon Fisher - runs a twice-daily podcast and several written articles via BarnBurner. Well, who knows? It isn't beyond the realms of imagination that WWE announce the return of Halloween Havoc or Starrcade imminently and, well, nostalgia alone would probably see tickets sell well before a match is even announced. As for TLC and Clash of Champions, I guess we'll find out in due course! Would you like to see Halloween Havoc and Starrcade return? Let us know in the comments. What if WWE never bought WCW?